After Top Cat upsets Officer Dibble one time too many, he and the gang decide to lie low for a while. 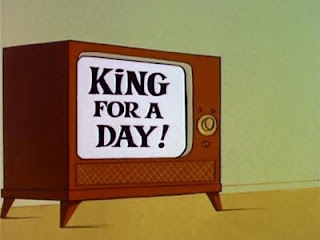 After spending the night in a department store, the gang go on the "King for a Day" show which offers a number of prizes, after writing to the shows producer about the gang being a "poor family". Instead, Dibble wins the prizes and offers to take T.C. and the gang for a ride to show no hard feelings. Upset that Fred has forgotten the anniversary of his joining the household, Dino runs away in a sulk. 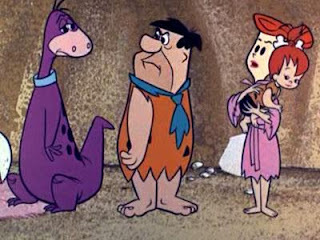 The next morning Fred and Barney seach for him, bringing home a look-alike pet that they assume to be Dino. 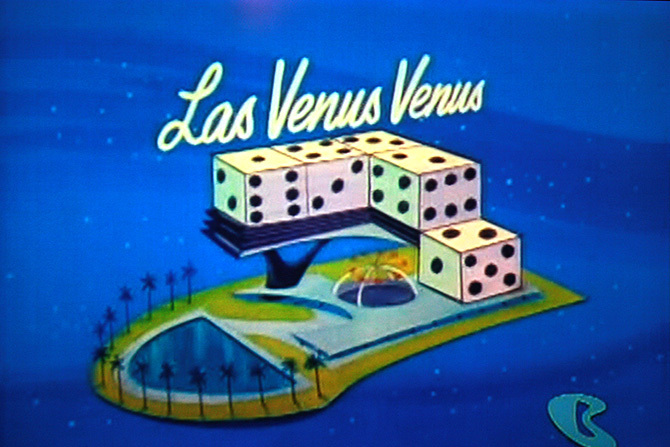 On his second honeymoon, George divides his time between taking Jane out and wooing a potential client of Spacely Sprockets, who turns out to be a woman named Gigi Galaxy. 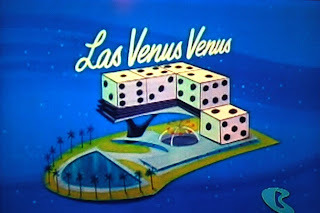 George is so dumbfounded by her looks that he introduces himself as, "George Sprocket of Spacely Jetsons". 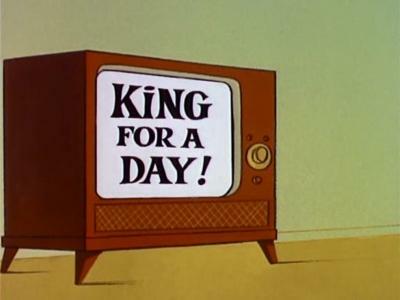 Ultimately, George succeeds in winning a big contract for his company and is promoted to Vice President by Mr. Spacely.